THE ST. JOHN ALITURGETOS (UNCONSECRATED) CHURCH was built 14th century. 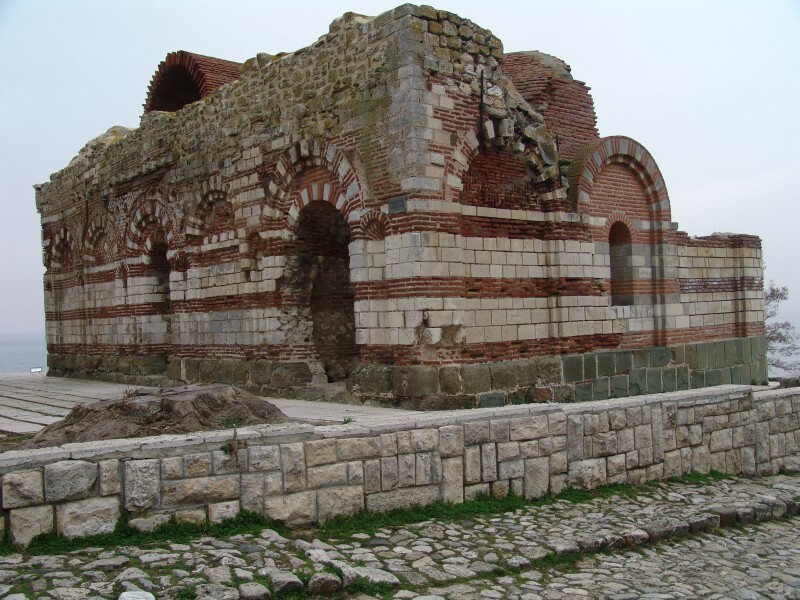 Even damaged in the earthquake in 1913 and not well preserved, the church is a proof of the supreme period in the construction of cult buildings in medieval Bulgaria. 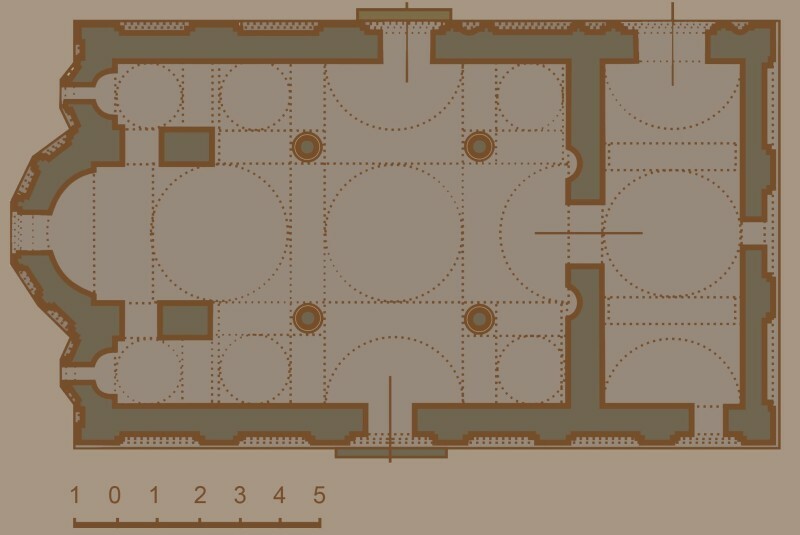 Its dimensions are 18.50 m in length and 10.25 m in width. 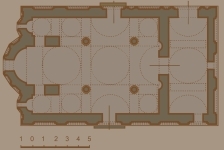 The church is crusiforme with a square naos and a large narthex. There are four pairs of columns supporting the dome. The facades of the churches are the most impressive. Here the picturesque style reached its biggest development. The adroit alternance of white stone blocks and red bricks combined with ceramic plates, formed different patterns, representing multicoloured embroideries. All facades are built in different way. The most beatiful is the preserved eastern facade with its three apses, decorated with niches with right proportions and elegant arches.